The report containing the alternative investigation that the Inter-disciplinary Group of Independent Experts (GIEI, its initials in Spanish) carried out into the Ayotzinapa Case –43 enforced disappearances, six murdered and more than 20 injured– was delivered yesterday at noon to the three assistant secretaries that signed the agreement in Washington with the Inter-Americana Commission on Human Rights (IACHR) for the formation of this mechanism. The five experts –Claudia Paz y Paz, of Guatemala; Angela Buitrago and Alejandro Valencia, from Colombia; Francisco Cox, of Chile, and Carlos Beristáin, of Spain– took turns speaking. In their presentation each one exposed different inconsistencies, mistakes, omissions and evidence hiding in the greater part of the actions of the police and the prosecutors involved in the investigation of the case. They demonstrated that assigning probative facts and elements into the records was set aside and they insisted on the need for opening a line of investigation into the shipment of drugs that leave Iguala in modified and loaded buses, in possible collusion with police at the municipal, state and federal levels. As a hypothesis for the motive, they pointed to the intent of the corporations that attacked the retinue of students to impede the buses taken from leaving the city at all costs. They demonstrated that soldiers and military intelligence agents were present at different times during the operation. With new experts that the international investigators requested the central piece that former attorney general Jesús Murillo Karam had defended as the “historic truth” was discarded: that no trace remained of the 43 disappeared or the possibility of finding their remains, because they had been executed and later incinerated in an enormous human pyre the Guerreros Unidos gunmen set in the Cocula garbage dump. “We hold the conviction that they were not incinerated at that garbage dump,” Francisco Cox, one of the experts, expressed. The document, of more that 500 sheets of paper that summarizes six months of study, investigation and diverse independent expert examinations, contains –they assured– “new evidence that changes the perspective of the official record.” It proposes new hypotheses about the motive for this huge attack as well as for determining the whereabouts of the 43 disappeared and pointing out the responsibilities of the perpetrators. The specialists in different disciplines described the nine scenarios in which successive attacks developed, which were rising: from shots at a bus at its exit from the terminal to the kidnapping of the 43 and the murder with brutal torture of Julio César Mondragón, within a lapse of three hours. Iguala and Cocula municipal police, ministerial police, federal police, soldiers from the 27th Infantry Battalion, military police and military personnel from intelligence services participated in the attack as perpetrators or observers at different times and in different roles. 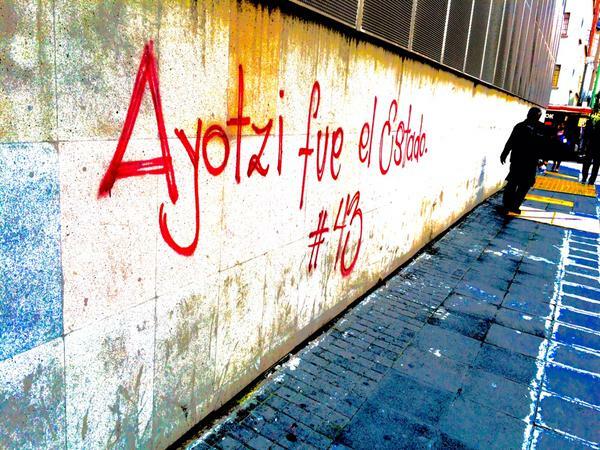 The GIEI’s report discards the versions contained in official records that the students were confused with a the drug trafficking gang, Los Rojos, a rival for control of Iguala, since all the corporations had precise data about where the Ayotzinapa students were, at what time and how they arrived and what they did at every moment. For these and other reasons explained in the report the GIEI has insisted on the necessity that they have access to interview soldiers from the 27th Battalion. “Toward the end of August the answer to our request continued being negative,” they indicated. Torero, the Peruvian expert, concluded that such action is “scientifically impossible.” His opinion departed from the one saying that the weather is the “most inefficient” environment for cremating a body, since 30 percent of the heat from the fire radiates toward the sides, the rest rises into the air and “only one percent is directed to consumption of the object being burned.” According to his calculation, to burn a body would require 700 kilos of wood or 310 kilos of tires throughout 12 hours. Incinerating 43 bodies would require 30 mil 100 kilos of wood or 13, 300 tires for 60 hours. According to the versions the PGR obtained, the fire in Cocula lasted six hours. Another Torero calculation demonstrated that what’s needed is a space of 12 by 2.5 meters for incinerating 43 bodies and will produce a flame of at least seven meters, with a plume of smoke of more than 300 meters. Cocula’s residents would have seen a 280-meter column of smoke. In his analysis the investigator at the University of Queensland, Australia, points out that the radiation from the fire would have reached 15 meters of distance from the nucleus of the heat source. A person would not have been able to approach within those 15 meters. Those allegedly implicated said that after six hours went in to throw on more fuel.